BRS Bulk Small Particle Lignite Carbon is a great option to remove yellowing pigments, contaminants and irritants from your tank. 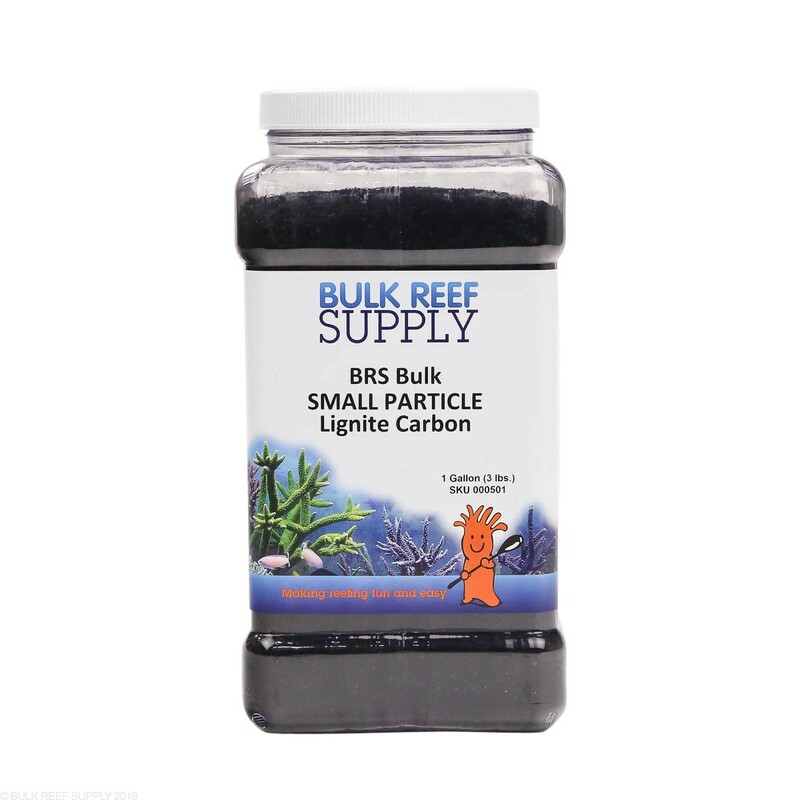 Both our Small and Large Particle Lignite carbon offer very good performance, high-value and low-cost as compared to our BRS Bulk Premium ROX 0.8 Carbon. Carbon is not created equal. Different sizes, shapes, and materials will perform with drastically varying results. Press "more" to see the Carbon Quick Compare Chart before deciding on the best carbon for your saltwater system. 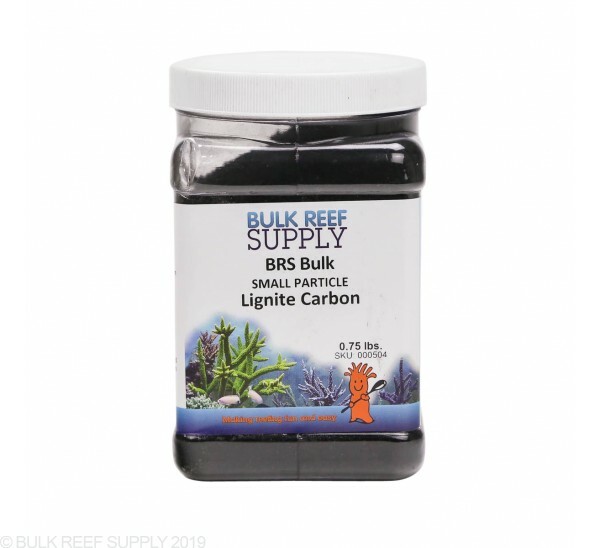 Instructions: We recommend 1 Tablespoon of BRS Small Particle Lignite Carbon per 8 Gallons of tank water either placed in a media bag, or reactor. 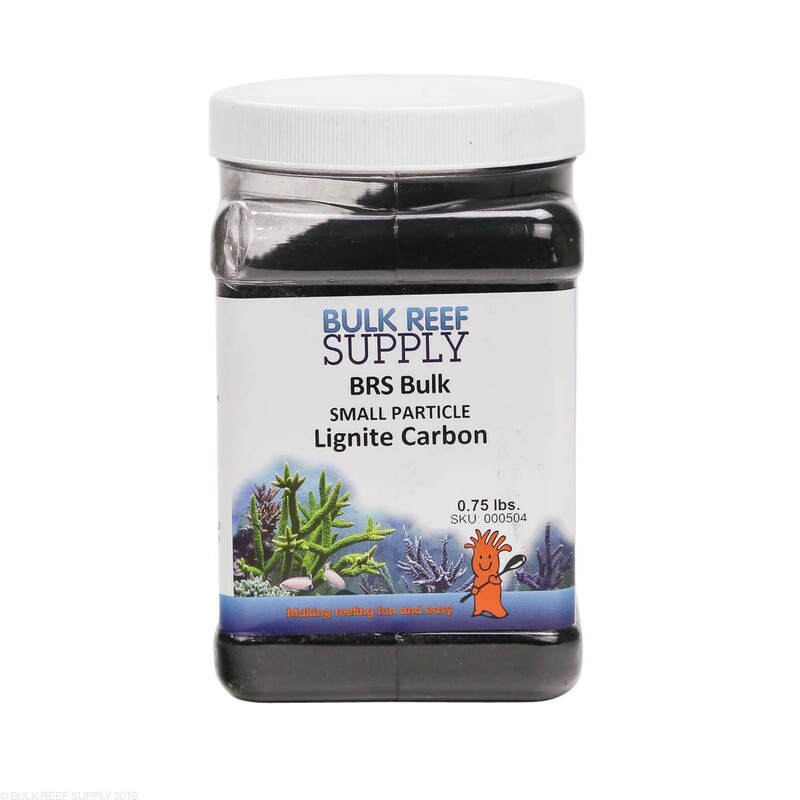 BRS Lignite Carbon will outperform competing brands for less. 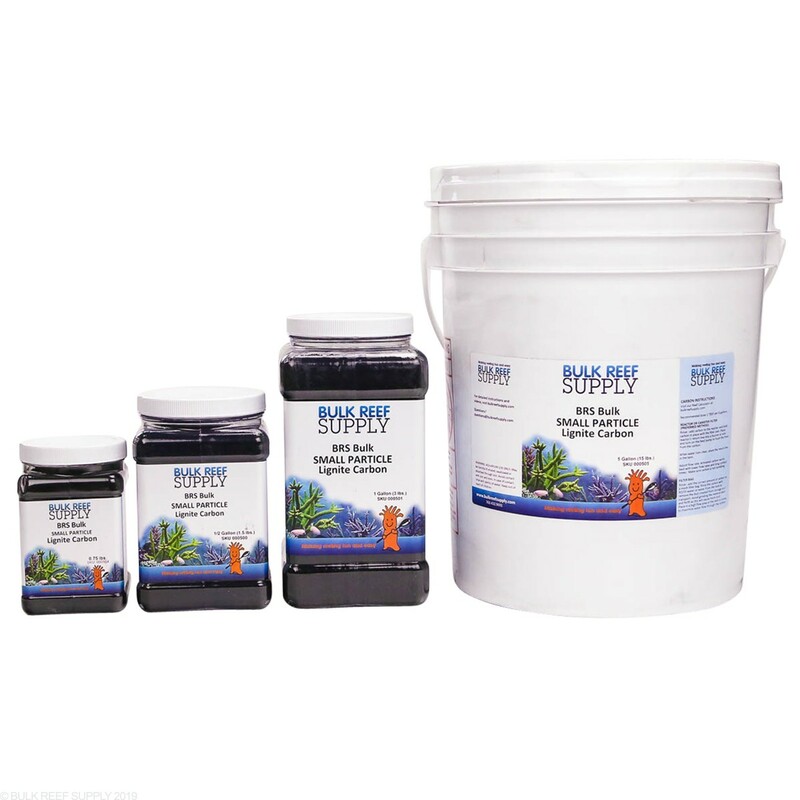 The primary function of carbon is to remove color pigments, pollutants, and medications from an aquarium. Each has a larger molecule structure and requires a carbon with a pore size large enough to effectively remove them. 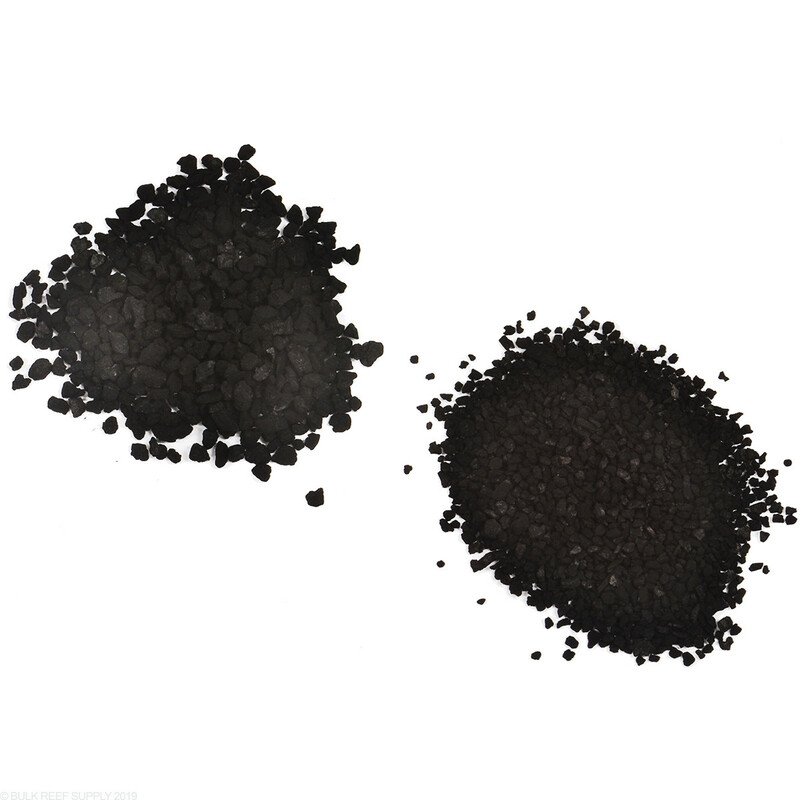 Our Lignite Carbon contains a high number of large pores capable of removing these molecules. 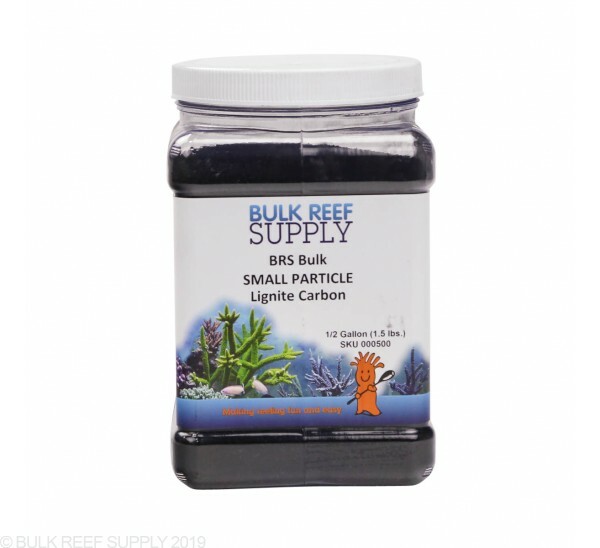 BRS Bulk Lignite Carbon comes in small or large particles. Large particles are easier to work with, while the small particles will be slightly more efficient. 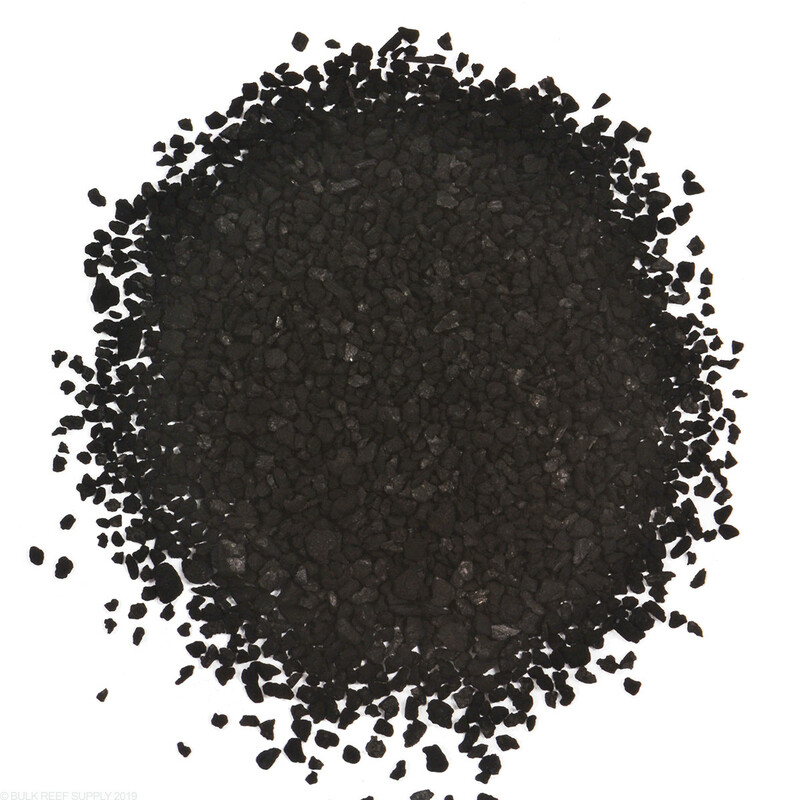 SPECIAL NOTE: Lignite carbon contains more dust because it is softer. Be gentle when rinsing and do not tumble the material in a reactor which will create more fines. Carbon is most effective at slow flow rates. 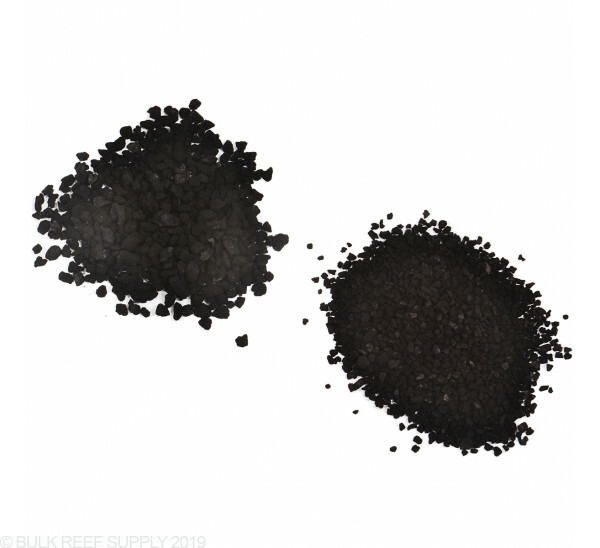 For a harder carbon with low dust please try BRS Premium ROX 0.8 Carbon. the price is right and for what it does you can not get a better carbon anywhere. This stuff is the perfect size in combination with my GFO and it all rinses clear in just 5 seconds. It does the job, makes my water look really nice and clear. It is a lot cheaper than the high-capacity and because I'm using it with the regular GFO, this stuff makes the most economical sense and I don't feel bad changing it out every 2 weeks. Did an excellent job of polishing my water in a short amount of time. Nice small particles mixes well with gfo in my reactor. Works great! I like to mix the small particle with some large particle in my BRS reactor that way you get the benefit of both worlds. Price is great and no complaints. 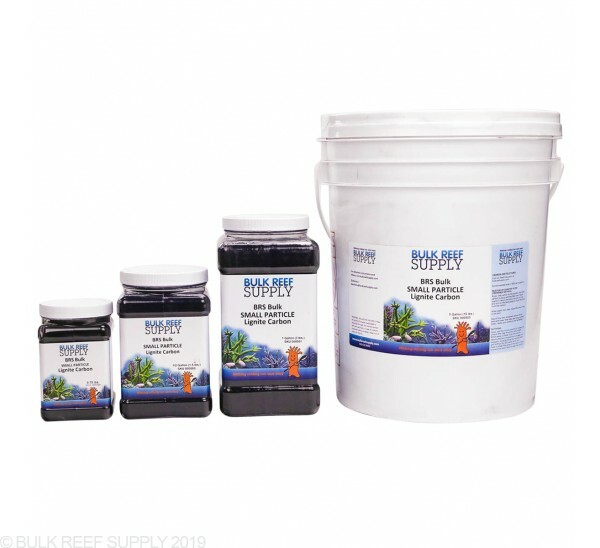 This is a great item to be running in your aquarium after a week my water looks better then before I started using it. Works better if run on a reactor. 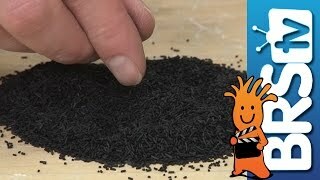 This was the first time I bought carbon in bulk and the small particle does the job. I mix this with some gfo in my reactor and my water looks crystal clear. the price is great and it lasts fairly long. i have it running with GFO in the BRS reactor and i change it every month. works well for me! 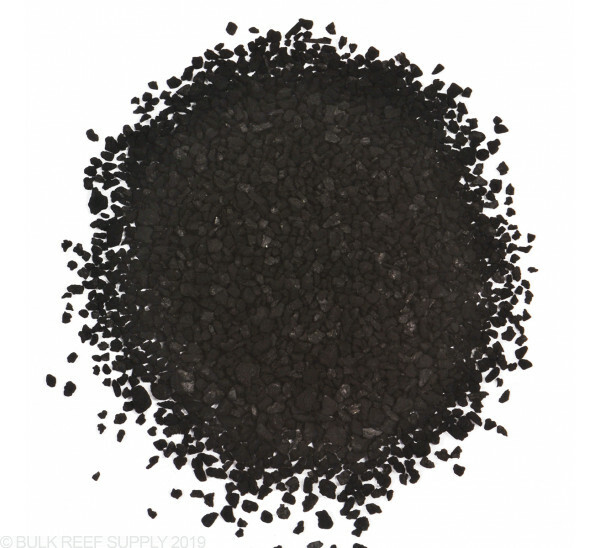 Which Bulk Catalytic Activated Carbon is equivalent to that provided in your Chloramine filter kit? What mesh size is this carbon? These will work in mesh filters up to 500 micron well. Our standard mesh will work great!